Mr. Nrupaditya Singhdeo is a private equity professional with more than 21 years of total experience. 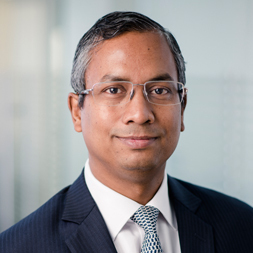 Being associated with regional private equity for more than 12 years, Mr. Nrupaditya is one of the founding management team member of Al Masah Capital Limited and has been closely associated with the setup of its PE focused business. His deep local knowledge and networks have helped the company identify and source promising investments and projects in high-potential sectors and markets. 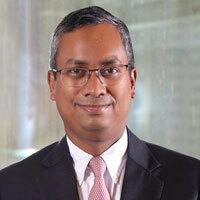 He has played an instrumental role in working on an entire chain of activities such as deal origination, transaction evaluation, due diligence, deal negotiation and managing exits and listing of entities.Through active ownership and a focus on operational improvement and expansion, Mr. Nrupaditya has been associated with investment and management of businesses in the education sector for almost 10 years. Recognized as a pioneer of global growth markets investing with schools, nurseries, kindergarten childcare centers, training centers which includes drama and music centers in the MENA and South East Asia, Mr. Nrupaditya’s years of investment experience has driven the company toward achieving its goals resulting in some of the most distinguished transactions.